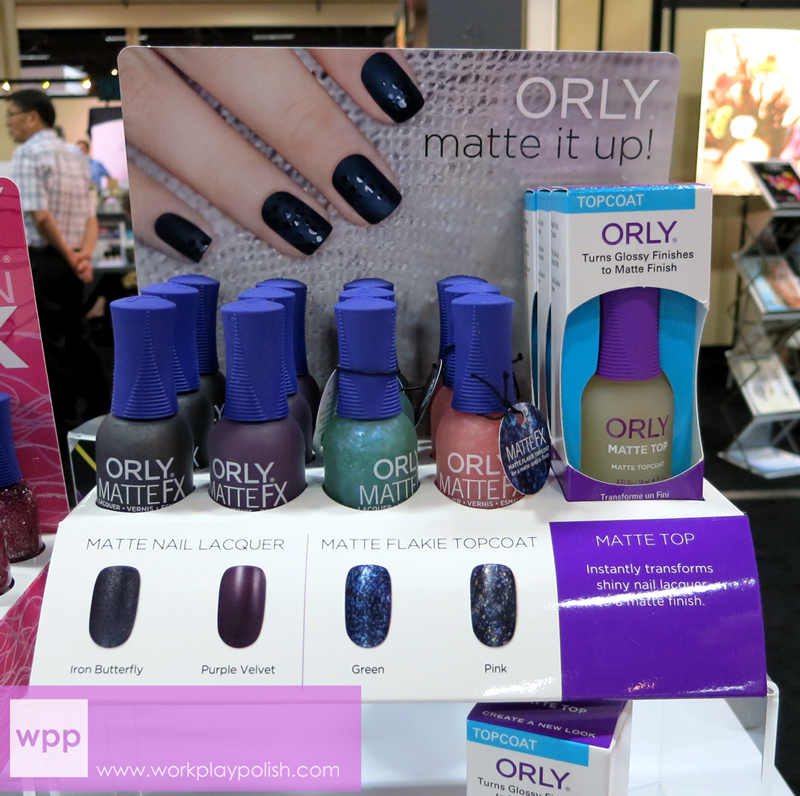 I have LOTS to share from the Orly booth at Cosmoprof North America! 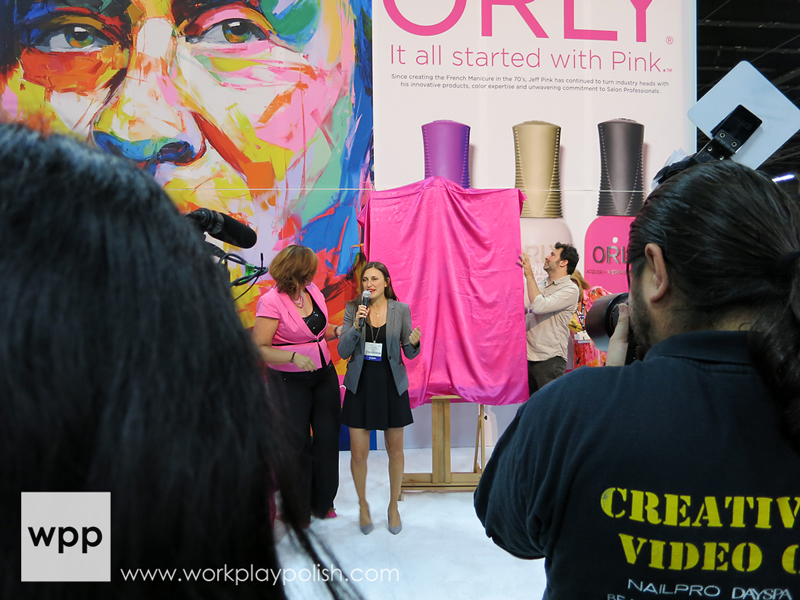 Not only did I get the scoop on what's new (some I can share and some I can't...oh the suspense), but I was invited to a reception where Orly officially unveiled the It all started with Pink campaign. Before I get to the news, here's a mani using Orly's Beach Cruiser. This polish was provided in the goody bags we received at the reception. Gorgeous, isn't it?! It really is the perfect complement to the campaign. If you follow me on Instagram or facebook, then you've seen this pic already. This is the Fall 2013 Surreal Collection. I love this group of colors for Fall! There are six shades (front row, L-R): Purple Poodle, Digital Glitter, Angel Rain, Teal Unreal, Purple Powder, and (top right) Pink Waterfall. This collection launches in September. Orly is expanding their FX Collection with the addition of two Limited Edition MatteFX flakie topcoats in Green and Pink! I'm really looking forward to these! 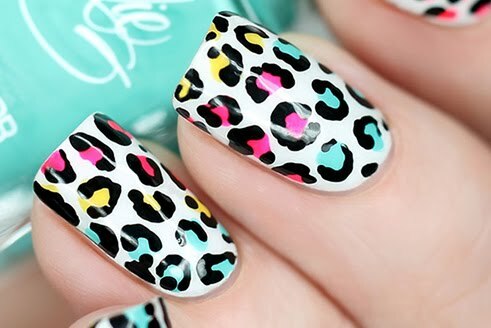 The Orly Matte It Up! display will also include three current matte polish offerings: Iron Butterfly, Purple Velvet and Matte Topcoat. Orly is also expanding their Instant Artist line of nail art products/tools. 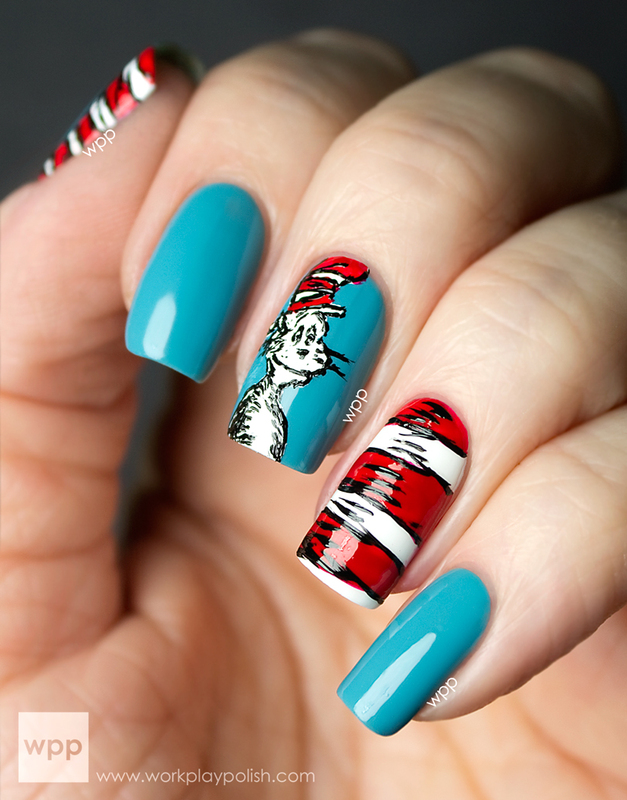 Previously, their stripers only came in a water-based formulation (so you could "erase" mistakes). But customers wanted a lacquer-based option and Orly delivered. The new logo and bottles have been appearing in stores for awhile. They still have the soft rubberized caps (I love that about Orly), but gone is the script "O" that we're use to seeing on the tops. They also made some changes to the packaging, for instance, their treatment line features a bigger opening for a better view of the product. The look is really clean and tidy (and I'm ALL about the clean and tidy!) The website has been revamped, as well. And now, we get to the reception. This was very cool. 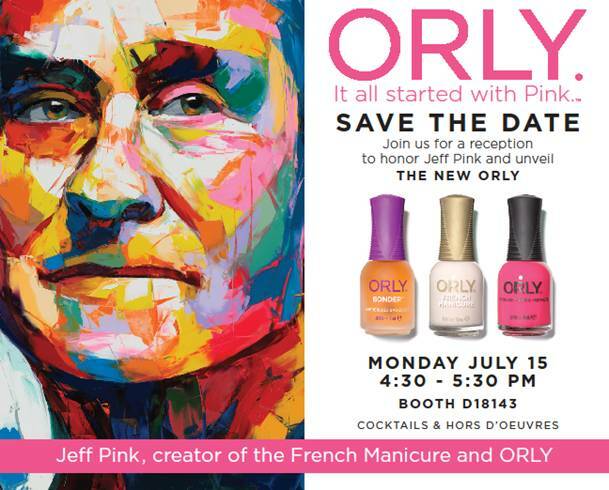 During the show, Orly hosted an invite-only cocktail reception in their booth to introduce It all started with Pink, a campaign designed to honor Jeff Pink's legacy of 38 years at the helm of the largest privately held company in the nail industry. The show doesn't close until 6pm so people were everywhere. It was really kind of exhilarating to notice that for that hour, the entire Cosmoprof North America floor was engrossed in what was going on in booth D18143! After a few introductions, we were shown a very touching tribute video produced by Jeff Pink's daughter. She said a few words before the centerpiece of the campaign, an original portrait of Mr. Pink, was unveiled. Then came the reveal. 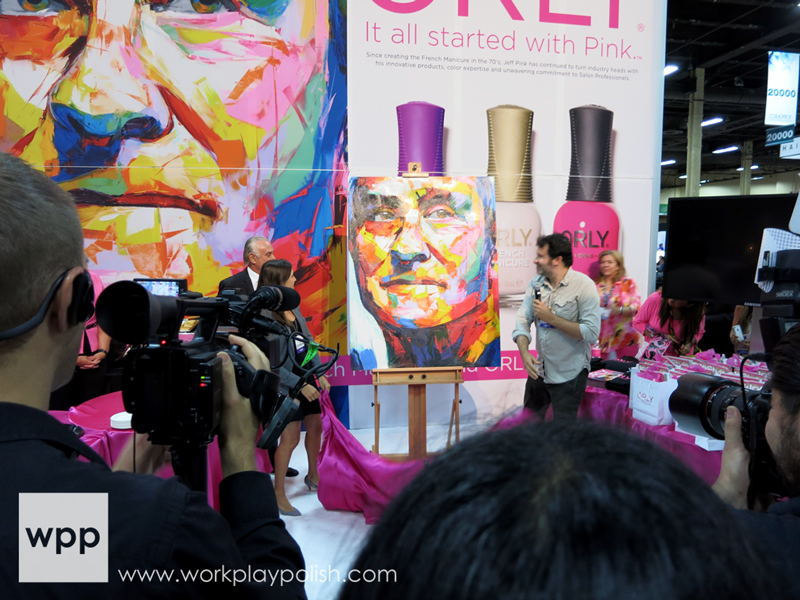 World-reknowned artist, Francoise Nielly, was commissioned to create the original oil painting. 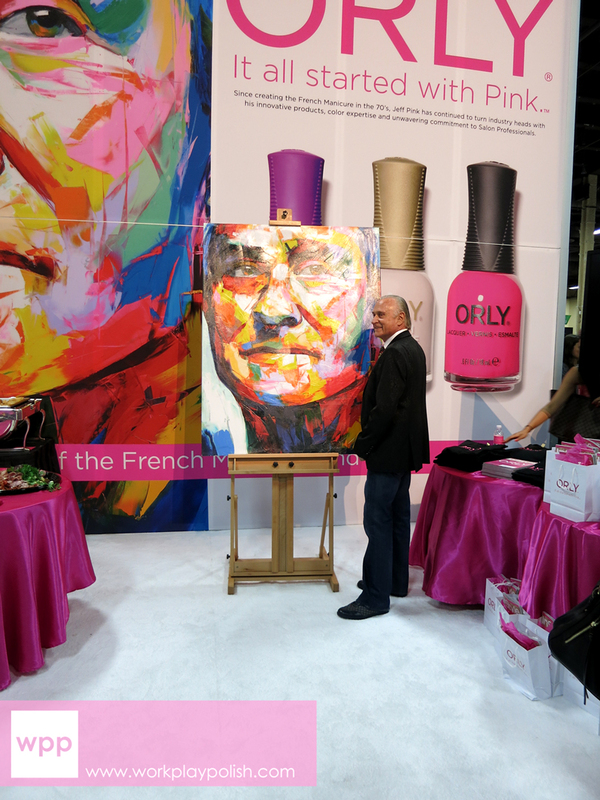 The painting pigments were matched to top-selling Orly lacquers! I love that attention to detail. Then Mr. Pink said a few words. It was all very exciting. As a polish addict, he's a rock star! He looked so proud...as he should! 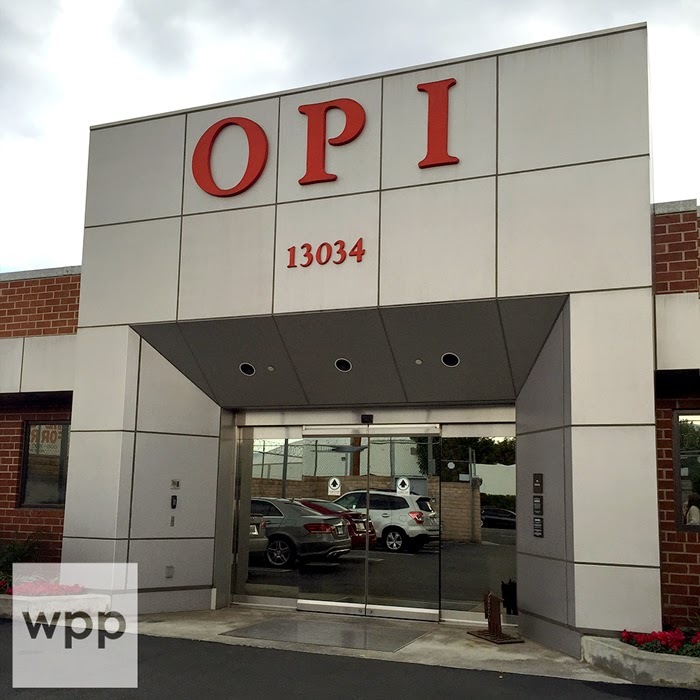 I had my appointment with Orly the next morning and an Orly employee remarked that she'd never seen him happier. Very cool! You can see the little goody bags on the right in the pic above. We received Beach Cruiser, a french manicure kit, an Orly It all started with Pink t-shirt, and a copy of either InStyle or People magazine. 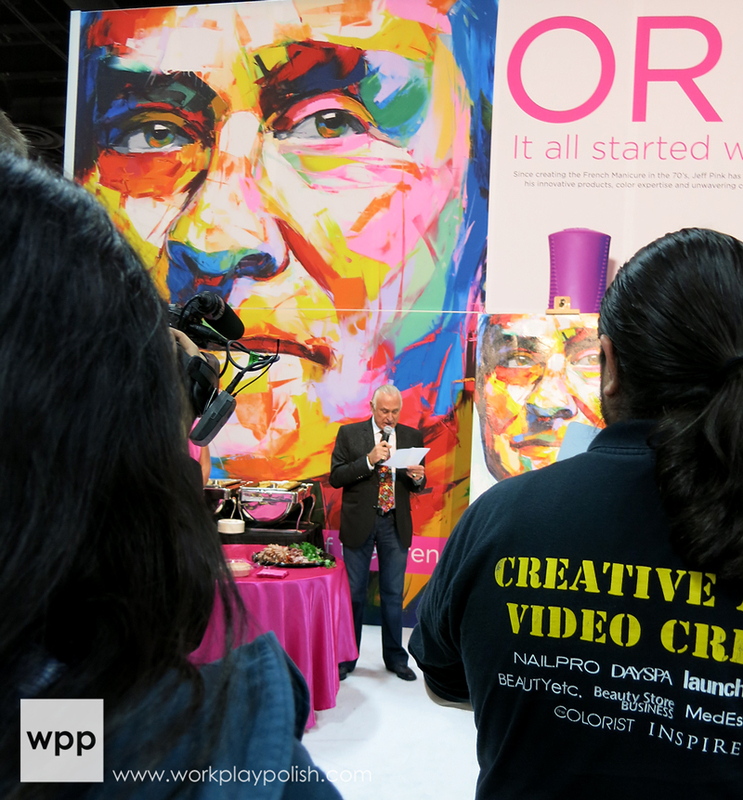 Orly partnered with TIME, Inc., to create salon exclusive covers and an insert. Visit Orly on the web at www.orlybeauty.com. You can also find them on facebook, twitter, pinterest and instagram.